Thanks, Lainey. Time Traveler’s Wife was a challenge, but I loved the story. i didn’t watch the movie because didn’t see how they could capture what was in my mind from the book. Thanks for recommendation for Sarah – i will seek her books . Hope you are doing well; i know you’ve been swamped with other “challenges” lately. I havnt read any of those but am scrapbooking this for reference once I get through my huge backlog of books to read and you really are a wonderful writer!!! Two Misfits. One Extraordinary Love. I love the sound of this concept. Isn’t it exquisite? There could be so many stories that fit the description (no pun intended). 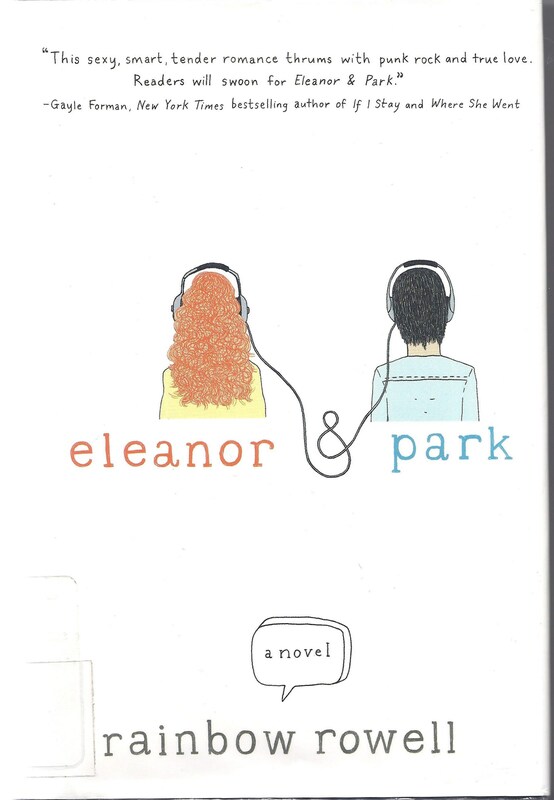 The older I get, the more I understand about my own difficulties to find my fit, and the more I appreciate these stories of love in all its iterations. I tend to stick to crime novels so haven’t read many on your list. Occasionally I try other genres so I have read the Time Traveller’s Wife which I agree was an amazing book. I have added your list to my ‘to-be-read-one-day’ list and I’ll let you know when I do read one. Thanks. 🙂 oh, the ever-expanding “to read” list. I know it well ! I read a lot of crime novels also. Who are a couple of your favorite authors? Loved this post Sammy thank you. I’ve read a few on your list. Currently, I’m reading Hermann Hesse:The Glass Bead Game. The Fault in our Stars I believe is very good .. Thank you, Susan. Will you see “The Fault in Our Stars” movie? I’ll decide once I read the book – sometimes book plots and characters are so expansive I can’t imagine movies being “weighty” enough. Thanks for HH recommendation. I will seek it! I am printing this list out, although I read I Know This Much Is True and loved it. I also read Wally Lamb’s more recent book (can’t recall the name) and loved that too. Chalk it up to I get most of my books from the library now, and thus can’t refer to them when my memory blanks like now. Right now I am reading Joyce Carol Oats (probably spelling her name wrong) Carthage. Not a love story. Mystery. She wrote We Were the Mulvaneys (again probably misspelled.) Both really good. Thanks for the suggestions. I read wally Lamb’s recent and also can’t remember title :-). I’m terrible with remembering titles of books and movies. Will look up the Oates books. Hi Sammy – I too shall make use of this list. I’ve been meaning to ask for reading recommendations, so thanks! I will definitely obtain your other recommendation. Devoured is a suitable term for Krauss’ work. I was sad when it ended. I do hope you enjoy Coady’s book. I’ve read everything of hers that was available to me. She won the 2013 Giller Prize for her collection of short stories. I just finished reading The Antagonist reviews on Amazon and requested it frim my library. It looked good enough to prioritize in my summer list 🙂 thsnks so much – will let you know what I think! I don’t usually reread books, but one of the books on my all-time favorite list is a Wally Lamb book. I loved “She’s Come Undone,” but I also enjoyed “I Know This Much Is True.” I think Lamb recently had a new book come out, but I haven’t read it. Hi Carrie – I’m always interested when accomplished authors have several stellar books to see which becomes a reader’s favorite. I’ve read both She’s Come Undone and the new one. Thought they were both very well-written, but the subject matter in I Know This Much Is True was what struck me deeply. I can’t imagine carrying the burden of either twin. Will be curious to see what you think if/when you reade most recent one. Rats, my reply to this shoed up under next reader’s comment. Don’t bother with his 3rd novel if you have a list of other reads. It was really so-so compared to his first two. I hope you enjoy TFIOS. 🙂 it’s like browsing in a candy store. I went to the library to pick up one book on reserve and came home with 8. The story of a bookworm’s life, eh? Sorry, that 2nd comment should have gone to commenter above you (Carrie). My “reply to a reply” dorsn’t co-operate on my Ipad!! It was my least favorite of the three. You can leave it off your list because I bet you have others that are more compelling. A writer can’t possibly hit a homerun every time. I admit! For the time being I read too little! I’ve better soon pick up something catching from my shelves. And something else but “The dark tower”-serie by Stephen King. 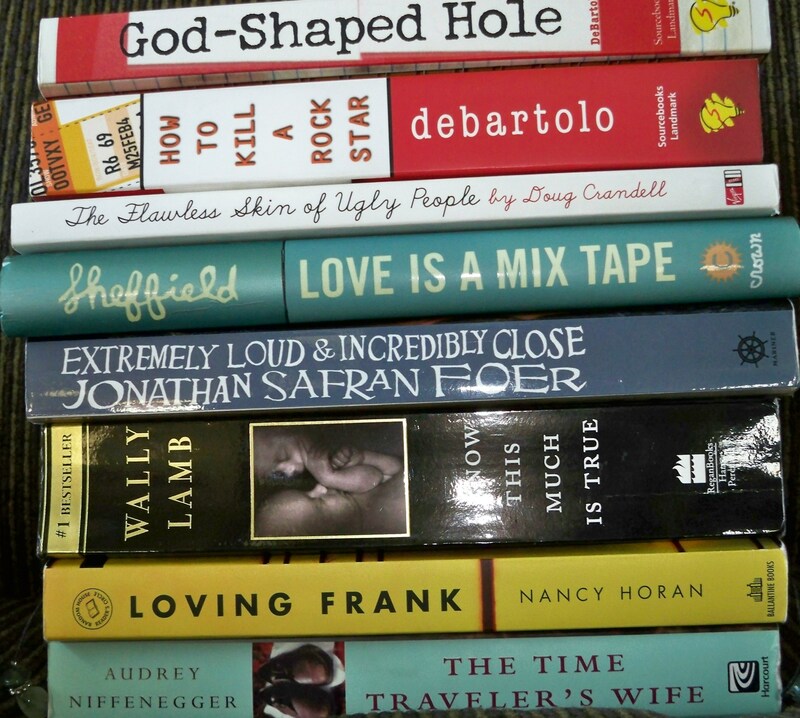 Those seven books I almost know by heart… Yes! My favorite! Oh gosh!!! I just wish I had an imagnation and fantasytalent like his! What a lovely stack of books you have! I’m always up for a recommendation, so thanks for all these. Time Traveler’s Wife is one of my favorites, as it twisted my mind up in the most wonderful ways. So glad you are enjoying it, too. Correction: month of May was ridiculious. Sometimes, my body seems to be taken over by the mysterious typing monster. Yes, yes, that’s whom I shall blame. Thanks! I’ll look at your suggestions and add to my long list :-). I have typo-challenged fingers too, but I’m blaming my keyboard! Yes, that’s it. My keyboard also lacks spell check. Tee hee! I’m reading Loving Frank right now! And Time Traveler’s Wife was amazing. 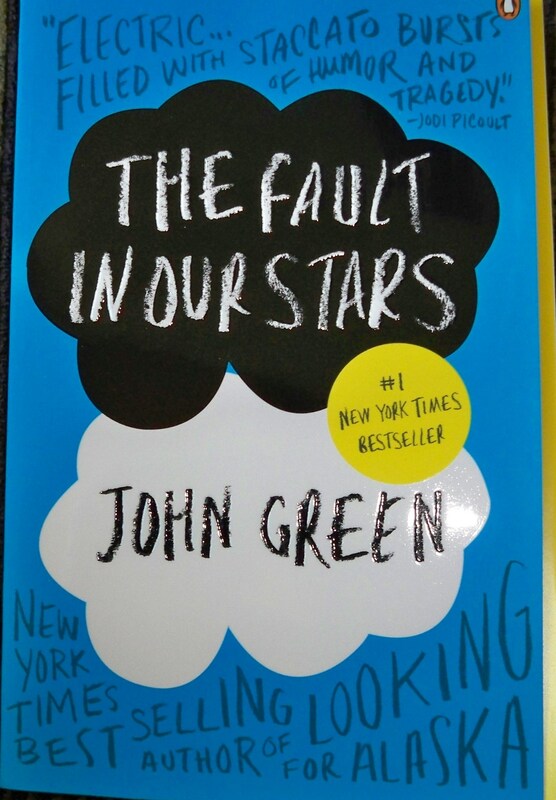 I hasn’t to read the Fault in Our Stars– what with all the buzz about it– but I’m a big baby and I don’t want to cry!!! Anyway thanks for posting this, I love good (and trustworthy) book recommendations! Meant to write I WANTED** to read Fault in Our Stars. Whoops! I hope you are enjoying Loving Frank. It was a very different book, and sometimes difficult to understand their relationship, and his wife’s role. The writing was excellent and, even though it was hard for me to cindone their life choices, in the rnd I thought it was a great love story. I finished Fault in Our Stars last Night. I didn’t “love, love” it like my other favorites, but that’s often the case with books that are “all the rage”. I’m better with “hidden gems” where my expectations aren’t so high. I loved the Time Traveller’s Wife – great book. 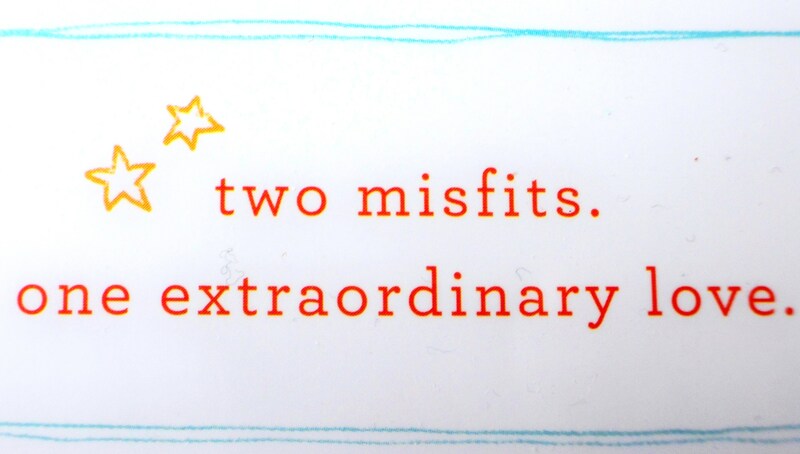 I do love the concept of “two misfits, one extraordinary love”, as you say it applies to so many stories and characters! It’s a good concept for writers to keep in mind. Well of course!! You are only one of my favourite bloggers! Haha. Actually being away is nice, but so is being back, glad I’m not going away any time soon now.